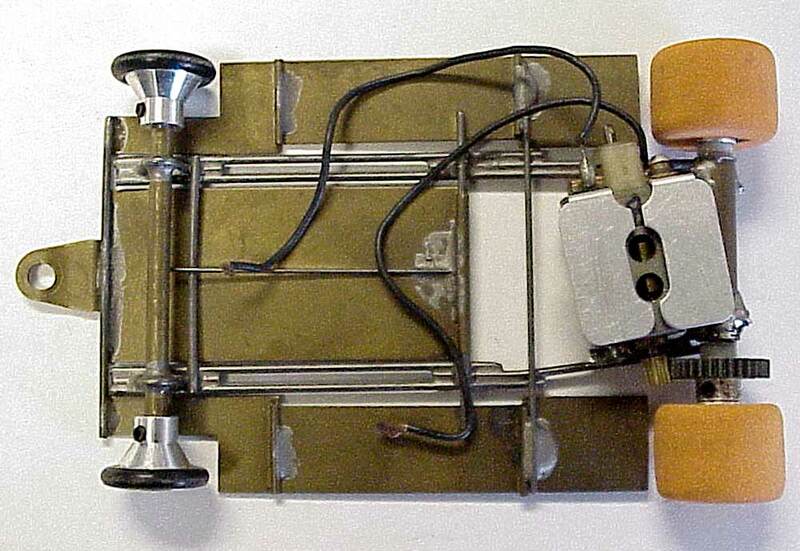 Ron Hershman, the National and World Champion driver, owner of Fast Ones and Outisite Designs, is also a collector of vintage slot car chassis. On this and the next couple pages, you can see images Ron has contributed of some cars from his collection. Thanks Ron! "I started racing in 1981 at the age of 18 and continued racing hot and heavy until 1996, when I decided it was best to retire from racing and concentrate on business. I worked at Parma International from 1990 to November of 1994. During my time there I won many races, including National and World Championships. I left Parma to go to work for RJR Engineering in November of '94. At this time I also started my own business, Fast Ones, blueprinting slot racing motors. In 1998 we purchased Outisight Designs and both companies continue on today. I rekindled my racing in 2003 by winning at the USSCA Oval Nats and then winning at the 2004 Oval Nats and USRA Scale Nats. I still test and develop products and am currently retired from racing at this time." 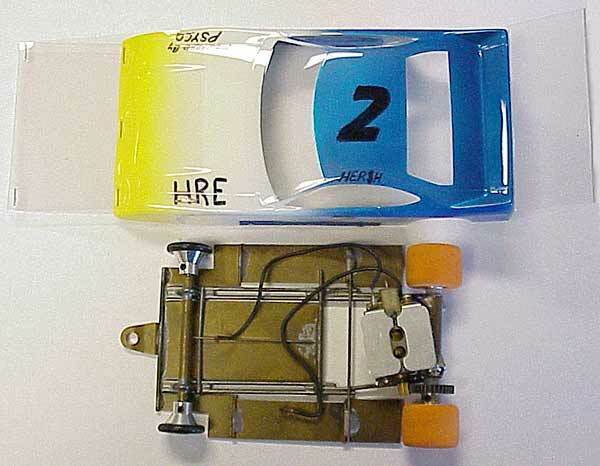 Above: Here are photos of my first 1/24 slot car that I raced in 1982. This car is all original and restored. Above: My first 1/24 car again - it is a Parma Sliding Plumber chassis with a rewound Mura Green Can motor. Above: This is a scratch built chassis that Bob Cozine of Team Champion fame gave to me. 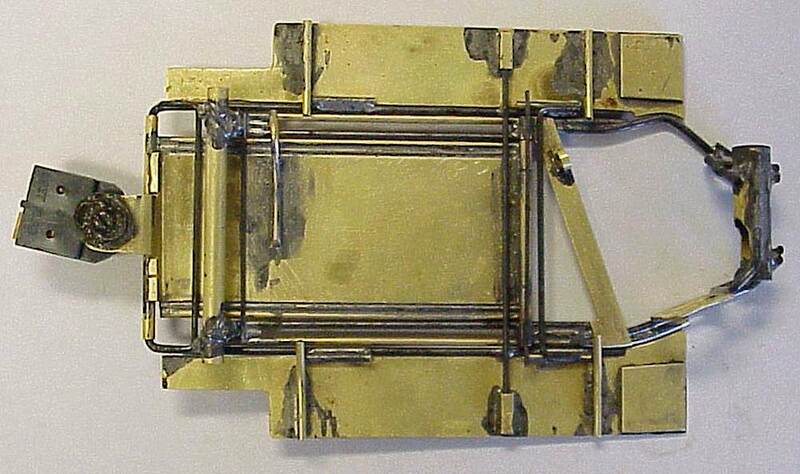 Bob couldn't remember much about the chassis, but it is of the 1968/69 period of anglewinders, with the pinion/gear being on the left side of the chassis.